From contemporary homages to ephemera that offer windows into the past. Produced by Sepia Art Collective, this show features more than forty artists from the Bay Area and beyond, honoring Panther icons. Contributors include Melanie Cervantes and Jesus Barraza (who together make the activist screenprinting duo Dignidad Rebelde), migrant activist and artist Favianna Rodriguez, artistic power duo Karen and Malik Seneferu, masterful installation artist and painter Bryan Keith Thomas, legendary painter and historian Dr. Samella Lewis, and street artist Shepard Fairy (behind the Obama "Hope" poster), alongside many other notable names — including Emory Douglas. 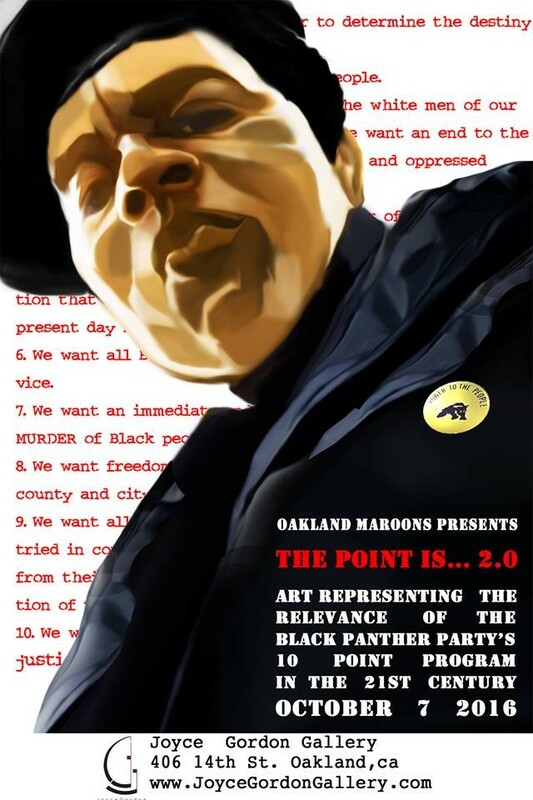 This show features rare ephemera from the collection of Oakland-based archivist Lisbet Tellefsen, including never-before-seen photographs, original prints, posters, and newspapers promoting the Panthers' Community Survival Programs. Comrade Sister will fill the Omi upstairs gallery with contemporary works inspired by the women of the Black Panther Party, featuring artists Tarika Lewis, Karen Seneferu, Ain Bailey, Marnika Shelton, and others. An opening reception on October 7 will host a roundtable with Davey D Cook, Ericka Huggins, Lisbet Tellefsen, Emory Douglas, Hodari Davis, and Ashara Ekundayo. Solespace’s homage is a youth-driven show featuring both fashion and visual art. Among the works will be Madow Futur Season One, a clothing collection that honors the Black Power Movement. The show’s opening on October 7 from 5–10 p.m. will also offer music and drinks. 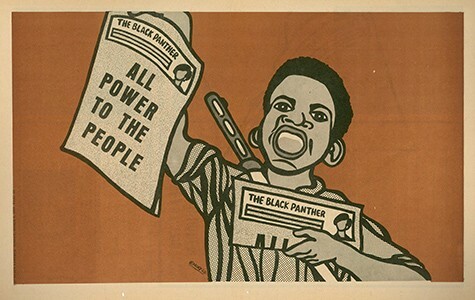 This sprawling exhibition will feature historical artifacts, first-person accounts, and Panther-inspired contemporary art that will highlight how the social movement and political party still shapes our lives today. (Look for a full review in next week's paper.) Coinciding with the exhibit, the museum will also be the venue for the Black Panthers' official commemoration and celebration, including a three-day conference from October 20–23. (For details, visit BPP50th.com). This fall, the corridors of the UC Berkeley Graduate School of Journalism will be hung with photographs by Stephen Shames, a former UC Berkeley student who served as one of the most trusted photographers for the Black Panther Party. Panther Chairman Bobby Seale was a mentor to Shames, and Shames stayed by his side from when they met in 1967 through Seale's campaign for Oakland mayor in 1973. Shames' portraits of Seal and the Black Panther Party are some of the most intimate and nuanced around. On October 19, both Seale and Shames will be present for a book signing and presentation in Cal's Northgate Hall. 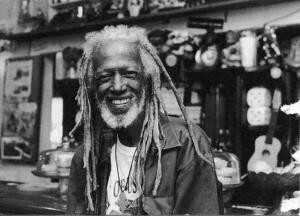 Suzun Lucia Lamaina spent five years traveling the country, capturing the portraits and stories of former Black Panthers. This show features those photos alongside transcribed interviews. Lamaina will be at the opening reception on October 22 to give an artist talk and signs the book version of her project, which will be on sale at the event. Meanwhile, at the Oakland Library's main branch, see Revolution is a Daily Struggle: Remembering the Black Panther Party's Social Program for a more straightforward historical account featuring a wealth of Black Panther Party ephemera (through November 30). Correction: A previous version of this article misspelled the name of Ain Bailey. This version has been corrected.